The top-rated Texas Children’s Hospital Pavilion for Women in Houston will open a Zika clinic for pregnant women at risk for contracting the virus. Hospital officials say the clinic is the first of its kind in the Lone Star State. The goal is to offer expectant mothers access to medical experts who can monitor their pregnancies, relying on the latest testing tools. Services will be available every Friday from 8 a.m. to 12 p.m. for those who traveled to Zika-affected countries, show symptoms of the virus, or have partners who traveled to Zika-infected countries and/or have shown symptoms of the illness that put the expectant mother and her baby at risk. The clinic will offer blood, urine and amniotic fluid tests plus counseling. An ultrasound can be performed as early as 15 weeks into a pregnancy to identify if the fetus exhibits any developmental signs of Zika. “It’s crucial we have a Zika clinic at the Pavilion for Women for our patients and community,” said Dr. Kjersti Aagaard in a hospital release. She is a maternal-fetal medicine specialist and vice chair of research in the department of obstetrics and gynecology at Texas Children’s and Baylor College of Medicine. “In an emerging disease, where new evidence arises daily, having a dedicated group of providers who can keep up with large amounts of crucial information, understand what testing to perform, and discern clinically important information and how to readily apply it is critically important,” added Aagaard. Pregnant women and their unborn babies remain the most vulnerable population for this primarily mosquito-borne illness because of Zika-related birth defects. Earlier in July, Breitbart Texas reported that, in Harris County, the state’s first baby was born with Zika-linked microcephaly, the congenital birth defect where a newborn’s head and brain do not fully form. Besides microcephaly, other poor pregnancy outcomes have included miscarriages and stillbirths, babies born with calcium deposits in the brain indicating possible brain damage, excess fluid in the brain cavities and surrounding the brain, absent or poorly formed brain structures, abnormal eye development, or other problems resulting from brain damage affecting nerves, muscles and bones, such as clubfoot or inflexible joints, according to the U.S. Centers for Disease Control and Prevention (CDC). As of July 15, the Texas Department of State Health Services (DSHS) accounted for 37 women in the CDC’s Zika Pregnancy Registry. Among the cases were three pregnant woman confirmed to have Zika and other pregnant women with newborns who tested positive for the illness but did not qualify as official Zika cases because they showed no symptoms or because the infection could not be clearly identified as the virus. This registry tracks and follows pregnancies that may be Zika impacted. Nationwide, the CDC last reported 400 pregnant women tested positive for Zika while another 378 tested positive in U.S. territories. To date, all cases of pregnant women in the U.S. with the virus originated from travel outside the country to Zika infested regions or were transmitted through sexual contact with an infected person who traveled to predominantly Latin American countries where Zika runs rampant. No vaccine exists yet to prevent Zika. Breitbart Texas reported Brazil and the University of Texas are developing one currently. Dallas labs and Houston medical institutions stand on the forefront of early Zika testing. The FDA recently approved Inovio Pharmaceuticals and GeneOne Life Science to begin a first phase of clinical testing out a vaccine. A volunteer just received the initial dose of the experimental treatment, according to the Philadelphia Inquirer. 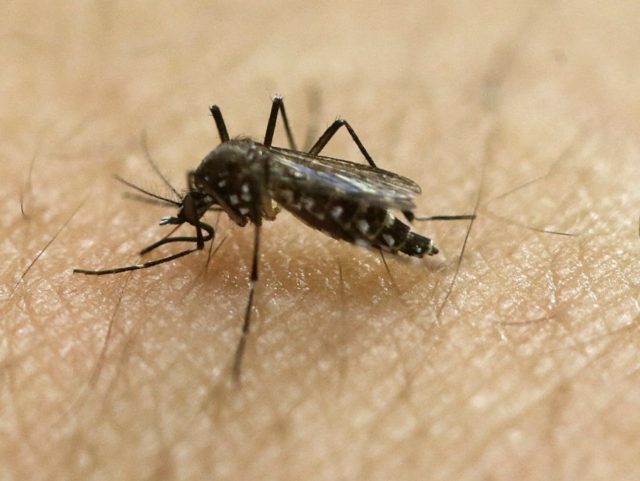 Health officials continue to advise Texans to wear mosquito repellent. Dr. Patrick Ramsey, a University Hospital Ob/Gyn, has called bug sprays safe for pregnant women to use. The Texas Children’s Pavilion for Women ranked as the best children’s hospital in Texas for the eighth consecutive year and the fourth best in the nation, according to 2016-17 U.S. News and World Report Honor Roll. It is the only Texas pediatric hospital to receive honor roll status since the publication began its specialty-specific rankings in 2009-2010.